Will the Verizon Note 3 Model have voice and data simultaneously ? I'm curious if the Galaxy Note 3 will have both voice and data simultaneously? As the Note 2 did not which was major thumbs down for me. No. This is a network restriction, not a device restriction. That's just how CDMA works. I know that's how the CDMA network works unfortunately. But they have a few devices which is capable of doing both such as the HTC Thunderbolt, Samsung Galaxy 3, Samsung Galaxy 4. I was just curious if this one was capable of doing both. Preach2k and phathands like this. I'm lost, what is voice & data simultaneously? This is correct. It can be done when on LTE with previous phones. I dont see why the N3 will be any different. The phone uses 3g for the call and LTE for the data. Making the simultaneous Talk/Data possible. Now if your in a non LTE area and on the phone the data will not work. GSM has always been able to do it, but not 3g CDMA. I have not encountered a 4g android phone that couldn't do it. But I don't think Iphones can even with LTE. Not that it matters to people on AC, but just making a point. I can talk on my note 2 (Verizon) while going online! The note 2 can certainly do svlte (simultaneous voice and lte data). It cannot do svdo (simultaneous voice and 3g). There are devices that can do svdo, if that is important to you. 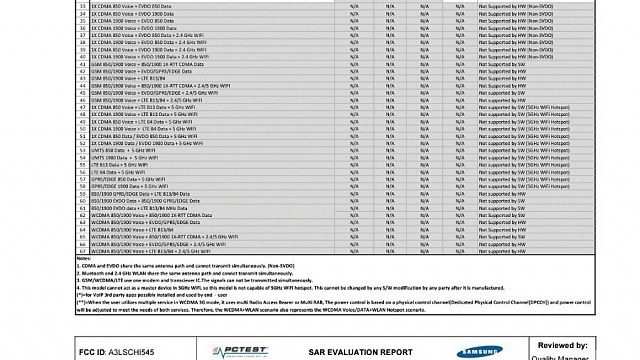 As to whether or not the note 3 supports either, all Android 4GLTE phones so far have supported svlte, so there is a strong likelihood that the note 3 would as well. Svdo, less likely considering that we Note II didn't support it. I think that's what the OP was referring to. I like him was disappointed when I switched from the gs3 to the note 2 and found out you can't do simultaneously while on 3g. It wasn't a dealer breaker because I mostly always have lte but on those rare occasions while traveling it can be handy. Zookeeper63 and Tywone like this. If I'm not mistaken, the Galaxy S3 was the last phone on Verizon to support SVDO (simultaneous voice and EVDO or 3G data), the only others are the Thunderbolt and Rezound. Probably not going to see new phones support SVDO as it's being phased out due to Verizon's expanding LTE network which supports SVLTE (simultaneous voice and LTE). There is also the issue that in order for a phone to support SVDO, it requires extra hardware (multiple transceivers and/or antennas) and a software configuration to manage them so the phone doesn't exceed FCC SAR requirements (don't want to radiate your noggin with too much RF - radio frequencies). My Og Razr also does it!! Am I missing something in the original message? I think we have a few iPhone people squawking .... I have always been able to do Voice/Data on Verizon since my Thunderbolt .... iPhone NOT! Always been able to do voice/data on 3 or 4g! It would work (talk and use data at the same time) as long as you're on LTE (or Wi-Fi), but not if you're on 3G as the OG Droid Razr does NOT support SVDO (simultaneous voice and EVDO or 3G data). It worked on my GNex voice and data at the same time. All android phones on Verizon have simultaneous voice and data if you are on LTE. The only one that doesn't is the iPhone 5. My EVO LTE did this on Sprint but my Note 2 does not. This is correct, but I believe the reason the Note 2 could not do svdo had to do with Exynos. Im fairly sure svdo would have worked if the us version of the Note 2 had come with Snapdragon, so here's to hoping. I don't think the dna and one, maxx, ultra, and most particularly s4 which also use the Qualcomm snapdragon has svdo either. From the fcc filing, the S4 hardware doesn't support svdo. Any way to turn off data during the night?